Conventional wisdom says we should improve our weaknesses. Why, so we end up with slightly “less weak” weaknesses? Screw that, I say play to your strengths! We’re all naturally good at some things and not others. And by that I don’t mean just those things for which we have aptitude, but also things that we enjoy doing and that actually give us energy. I remember when I was a hard-core coder, putting in 20 hour days was easy because I was so into it. The idea of coding for 20 hours a day now gives me palpitations. But the idea of launching a business and paying someone else to do the coding excites me, even if it still means I’m putting in 20 hours a day. On the other hand, improving our weaknesses is often a waste of time. We may get a little better at some things, but often with an associated opportunity cost. And we probably still won’t enjoy those things. We’re far more productive when we play to our strengths. Today, more than ever before, we can outsource absolutely anything. Does it make sense for you to struggle with your taxes, for example, when it will not only take you five times as long as an accountant, but also take away from what you’re good at doing? I don’t think so. Granted, we don’t always have the luxury of getting other people to do the work we’re not good at or don’t enjoy. Even so, we should then spend the minimum amount of time necessary to do that work, and get back to playing to our strengths. Only this way will we be more effective and become more successful so that we can eventually outsource the other stuff. 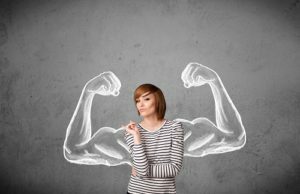 Look at highly successful people in any area of life – from entrepreneurs to athletes to artists – and more often than not, they would have devoted their lives to developing their natural strengths. That’s not to say you shouldn’t be learning new things and improving yourself. I constantly have 2 or 3 books I’m in the middle of reading. I love reading and improving myself, as long as it’s related to things I enjoy or that excite me. So how does all this relate to freelance consultants? A while back I wrote a post, Why Should I Hire You?, where I talk about the importance of narrowing your focus and not just taking on any work you can get. To expand on that idea, you should focus on your strengths. Become an expert in your field by playing to your strengths, and not only will you get better and better, but you’ll also love every minute of it! Want to keep up with the latest tips, tricks & news in the freelance consulting world? Then sign up to receive my updates! Why the Hell Would I Want to Freelance?? Am I Ready To Be A Freelance Consultant? I'm big on simplifying, following your passion, and being happy. Want to keep up with what's going on in the freelance consulting world? Follow me here. I'd love to work with you and help you with your goals. Tell me all about them by filling out my contact form.